DJI Spark Camera Drone – Is it for You? Droneflyers.com received a review model of the DJI Spark Camera Drone before the official launch. We therefore have had a few months to put the model through its paces and determine the pros and cons of this ultra-portable quadcopter. Note that we have our initial review in this article as well as a number of Spark videos at our youtube channel. These may answer many of your questions, however the below is a summary of our thoughts at the present time. We will present most of the benefits and features in the beginning of the article and list out the major “cons” (what it doesn’t do, etc.) at the end. What is Spark and who is it for? The DJI Spark is the first mass-market ultra-portable drone that still has most of the features of the larger and heavier models. These include a camera gimbal, front and bottom sensors, dual GPS, FPV, an advanced App and an array of photographic and other options. Up until the Spark, the closest model to this ideal was the Parrot BeBop 2 – which has many of the above features, but lacks a gimbal (mechanical camera stabilizer) – instead using Electronic Image Stabilization to remove vibrations and other unwanted movement from the video(s). Most experts will agree that the mechanical (Spark) camera gimbal results in better overall video than EIS. The DJI Spark is available with or without an option R/C controller. When purchased without the R/C controller, the range is limited and the model must be controlled using “virtual sticks” which are on the screen. Those who have no experience with either virtual or real “sticks” will likely need a lot of practice (and reading) to become familiar with operating the Spark via Mobile Device. Still, in our opinion, the Spark represents a truly useable camera drone/mobile device combo….something that we feel is lacking with most earlier models. Most beginner drone pilots will be best off if they fly one or two “toy grade” models before stepping up to a fancier camera drone or true FPV racer. In the video below I give a quick rundown on some of the current modes that may serve this purpose well. For various reasons – detailed in this article – we do not suggest the very tiny “nano” sized quadcopters are a learning tool. DJI Mavic Pro (fully loaded Camera Drone shown at end) – this is also not a beginners quadcopter! You can get it direct from DJI at the link below. Our advice is to not spend too much time wondering about which beginner model to order! Get one and get in the air and flying. Note – if you like to learn all you can from reading, we feature free eBooks on Getting Started with Hobby Drones at this page. FAA Part 107 and Ramifications for prosumer and light commercial space. News: FAA moved on both registration…and then commercial use of small uAS (sUAS – also called Drones or Small Unmanned Aerial Systems). Why we Care: This opens up the door to more uses of “drones for good” and assures that the industry won’t be left in limbo. News: Total or Partial Failures of most Drone industry would-be competitors – 3D Robotics and GoPro are the most well known, but a number of other efforts have failed completely or largely. Why we Care: An industry saying goes like this “Drone are Hard” – and this has been proven over and over again by the failure of other companies to deliver successful consumer products. While it would be great to have more competition in the drone industry, most of these failures were due to lack of understanding what is involved. It’s safe to say the Next Big Thing in Drones is not going to come out of Kickstarter or a garage. Large amounts of talent, capital and a long term plan is needed to succeed in this endeavor. Which are the best drones and quadcopters to buy as of the Spring of 2017? Read on! UPDATED April, 2017 – We update this “best drones” listing regularly as new products are released and reviewed. If you are looking for a ($400-$1500) “stabilized camera drone with GPS” – we have another article comparing the popular 2016/2017 models here. We do not suggest the very tiny “nano” thumb size quadcopters for learning or beginners! Here is why. We currently DO NOT recommend the following brands – 3D Robotics, Walkera, OnagoFly, GoPro. Also, we have had poor luck with Parrot models in the past – however, we are going to look at more current models soon to see if reliability has changed. Also, be wary of ANY crowdfunded (Kickstarter, etc.) models. *Hubsan X4 H107L – updated version of the most popular micro- beginners should purchase the option prop guard. Banggood Link (worldwide and/or US Shipping). With the recent introduction of the DJI Mavic Pro and GoPro Karma, the 2016 Fall and Holiday Season lineup of consumer camera drones has taken shape. The internet chatter, as usual, has built to a crescendo as to “which is the best drone?” and “which company will bury the others?“. We think it’s time for Dronflyers.com to step into the ring as referee and decide which models are contenders for the crown and which should perhaps be sent back to the gym for some additional work. Put another way – which drone should you buy if you want to have one (or gift one) in the 2016 Holiday season? No doubt that the DJI Mavic Pro is the hot item this holiday season. However, in the rush to line up for latest and greatest in new technology, buyers often forget the basics. In the case of Camera Drones, the IQ (Image Quality) is paramount and therefore worthy of some study. The Mavic Pro features a completely different camera than previous DJI models. Not only is it tiny in size, but it also has a new feature called Tap To Focus. This is similar to many smartphones where you touch your finger to the screen in the area where you want the best focus…and also often the best exposure (light). Let’s examine this new feature as well as compare the final results to the Phantom 4 and to other popular mid-priced ( <$1200) Consumer Drones. Note that picture quality is often subjective – what looks good to some may not to others. For this reason we have included and linked to a number of samples – you can study them to make your own determination. DJI Mavic Pro – A Miracle Machine, but is it for you? The DJI Mavic Pro is a miniaturized folding ($1,000 US) camera drone with specifications that beat most other models under $2K. The Mavic Pro started shipping to consumer in the middle of October and has quickly become the best selling consumer camera drone ever. In this post we will take a first look at this miracle machine and advise our readers as to where it fits into the current consumer drone landscape. This first look will contain information regarding the basics of Mavic Pro and address the subject who should consider buying this drone. Future articles will contain more typical review information such as flight manners, features, operation, links and more. With the introduction of the Mavic Pro, DJI has created an entirely new class of machine. Comparisons such as “Mavic vs. Phantom 4” or “Mavic vs. Yuneec” hold absolutely no weight since the Mavic is unique in most every way. So you want to start a Drone Company? Consumer drones are hitting their stride this holiday season, with forecasts of the 2016/2017 revenue running into the billions of dollars. Despite the large and rapidly growing market, a single company – DJI – dominates to a degree rarely seen in the consumer technology industry. You can buy great digital cameras from Sony, Nikon, Panasonic, Canon etc. or smartphones from Apple, Samsung, Huawei, Google and dozens more – but you can only buy an advanced, mature and reliable consumer camera drone from one company…DJI. While the tech world is very familiar with DJI drones, the company itself remains somewhat of a mystery. The Founder and CEO, Frank Tao Wang, is an engineer and workaholic who rarely hobnobs with the Press or at industry confabs. The same is true of many of the core C-Suite office holders, who seem laser focused on R&D, design and production and therefore leave the PR and Marketing to legions of hired surrogates. It’s no accident that DJI dominates the Camera Drone Market. The company represents a “New Chinese Paradigm” that innovates at a speed that even writers find difficult to keep up with. This makes their story – or at least the parts of it which can be pieced together from the outside – an educational tale for those with interest in business, China, technology and leadership. The P3 and P4 build upon the platform and successes of earlier models. The price/performance (value) has increased – DJI is now building in more goodies for less money! 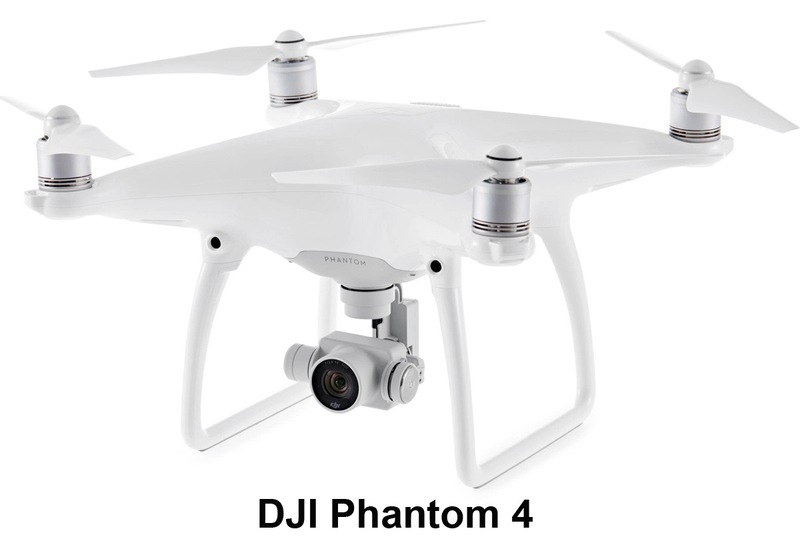 The Phantom 4 comes in a single model easily recognizable by the lack of decals and colors – it is bright white. In part one and part two of our first look at the DJI Phantom 4, we explored the improved construction and upgrading of the various assemblies. 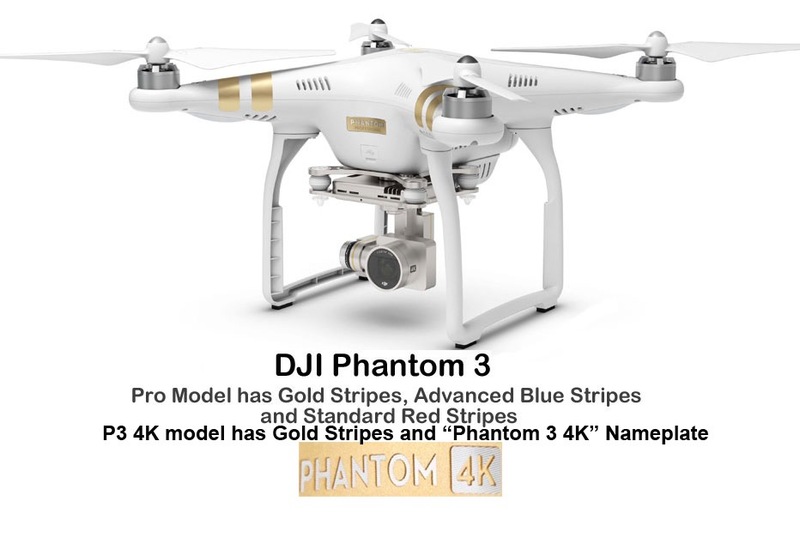 At first glance it would appear a Phantom 4 is a “perfected” Phantom 3 Pro. However, there is one major new innovation which makes this a revolutionary model- Computer Vision! This feature – and the current and future ramifications – will be explored in this post.